As those of you who read my previous trip report will know I did rather feel like I had unfinished business up on the Gotthard pass having spent three days on the route largely in gloomy wet conditions. I was not alone in already considering my return before we had even left Switzerland but even I hadn't really considered that I would be back so soon. Less than 3 weeks from returning I found myself with some rest days at work, a box left on my FIP coupons and a decent weather forecast across Switzerland, with flights on a Thursday morning and back on Friday night with EasyJet not breaking the bank it had to be worth another go didn't it? 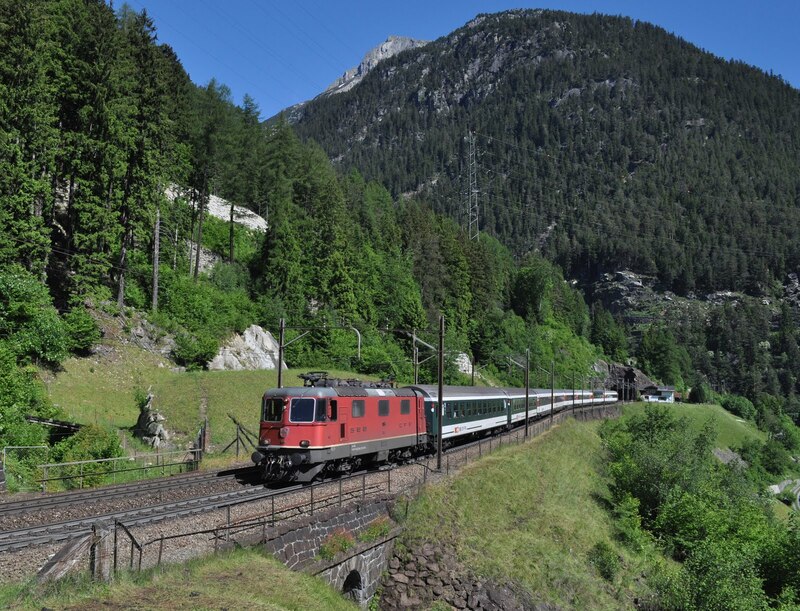 I wouldn't say this trip, of less than 36 hours in Switzerland, warrants a trip report as such- indeed I only took four trains during the entirety of the trip (and four buses) to get myself straight from Basel airport into the mountains. Accommodation was one night in the Hotel Krone in Wassen. Also of note, after enquiring at Basel airport the SBB desk surprisingly told me that I could use my FIP coupons on the bus to the station (I'm still not totally sure about that one- but no problems!)? 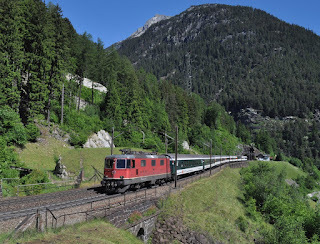 Re 4/4 11194 on the high level with a Lugano passenger turn. Since my the previous trip in late May of course the Gotthard Base Tunnel has opened, I was fairly confident this would not yet be having any impact on the number of trains on the route and although the line did have some quiet patches rail activity was probably similar to the last visit (except for a strange lack of DB trains on the Friday). This was a solo trip but thanks to all the friendly photographers on the line it didn't feel like it. Thanks to Andrew and everyone else I met for contributing towards an excellent day! 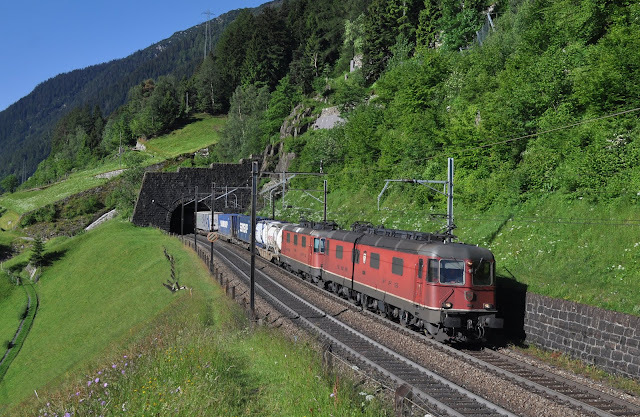 Re 4/4 11281 leads Re 6/6 11679 near Rodi-Fiesso on the south ramp of the Gotthard. 09/06/2016. 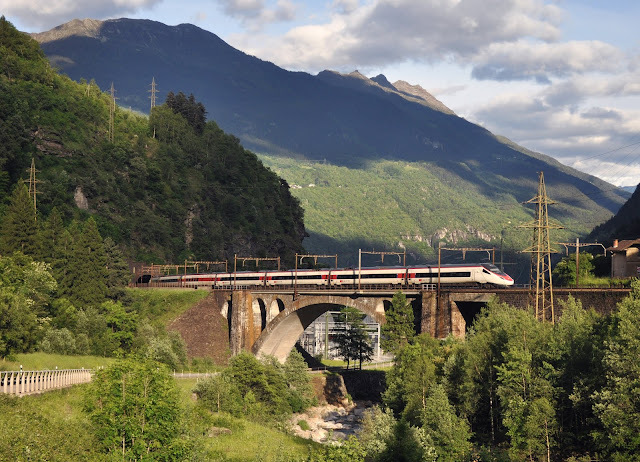 A Swiss ETR 610 Pendolino catches the sun as it crosses an impressive viaduct near Fiado. 09/06/2016. A shot only possible in the early morning in high summer, 11676 and 11280 head north on the high level at Wasssen. 10/06/16. Stunning scenery as an RABDe 500 Pendolino snakes through the Gotthard Pass at Wassen. 10/06/2016. 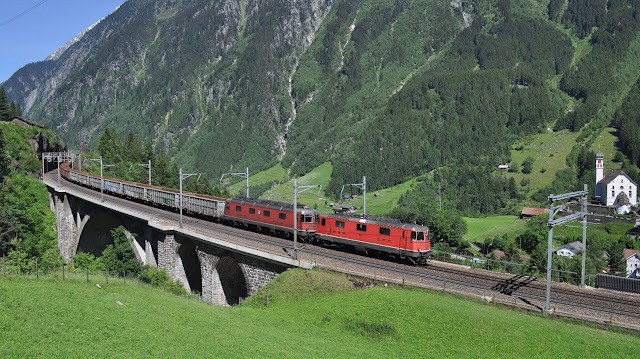 Wassen three times on their ascent of the Gotthard North Ramp. 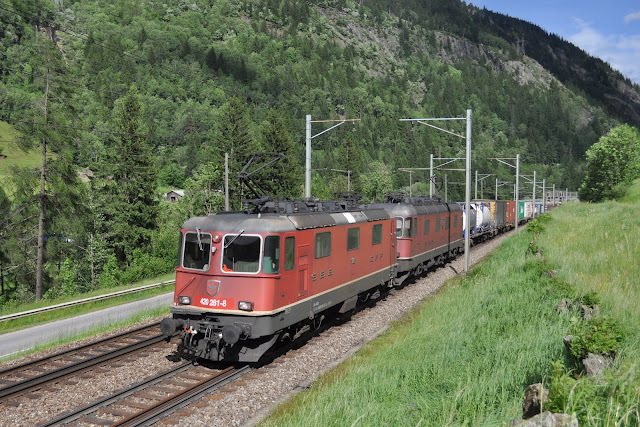 An Re 4/4 passes with a InterRegio. 10/06/2016. 11324 and 11678 form an Re 10/10 combination passing out of the tunnel and into the disused station at Wassen. 10/06/2016. A short afternoon postal train is in the hands of 11279. 10/06/2016. 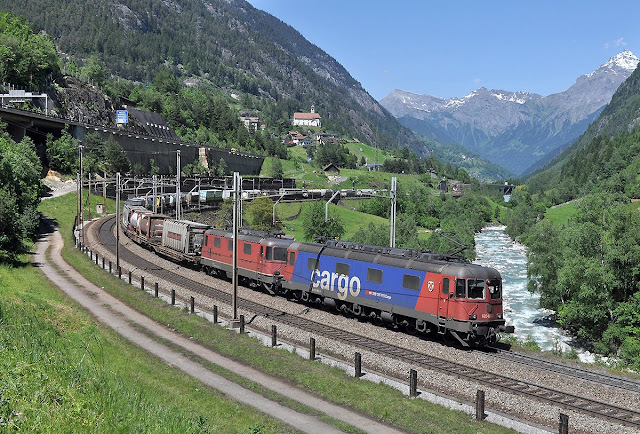 Typical Swiss traction at Wassen with Cargo liveried 620086 leading 11322, the Re 6/6 carrying newer UIC numbers. something of a rarity on the route. 10/06/2016. taken from the Churchyard- and quite different from the cloud ridden image of a few weeks previous! 10/06/2016.